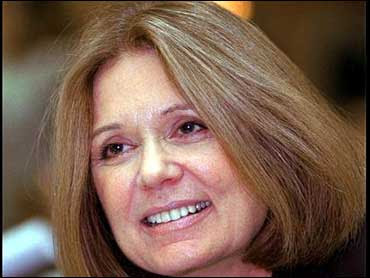 mundane jane: Dear Ms. Steinem. I wish I had your email address, so I could send you a personal note and thank you for your column in Thursday's LA Times. In it, you said just exactly the things I've been struggling to put into words to my friend who is so disappointed that Senator Clinton won't be on the ballot this year, and to those women I know who believe that any woman in office--as long as she is a woman--would be good enough. If I had your mailing address, I might send a small arrangement of flowers--or at least, a lovely little card imprinted with tasteful blossoms--on which I would write how sorry I was to see that so many people still have not learned to respectfully disagree, and how I wish now that I had signed in and commented in defense of your article. If I had your phone number, I would call and invite you to lunch, and if you had the time to join me, I would pick up the check as a small measure of my esteem. It might very well be the only time in my life in which I sat quietly and happily listened--for just as long as you would like to talk to me. Reading the readers' comments section to Thursday's LA Times opinion piece about Sarah Palin by Gloria Steinem very nearly broke my heart, and has done great damage to the hope I've been guardedly cultivating for our future. Amen. Great opinion piece from a great woman. Go Gloria! It's really said how those things we worked so hard for mean so little to today's women. If they only remembered what we do......but they won't recognize it until it's gone. In response to "anonymous," I must say that as one of "today's women" (I'm 23) I DO remember and appreciate what feminists have done for me, and I hope that the "women of today" don't let them down!